Over the years I have read many articles on spin fishing and written down everything that was worth remembering. The following are my summary notes on bibbed minnows. It is a collection of other people’s work so I am not claiming ownership. Hopefully it is of some value. 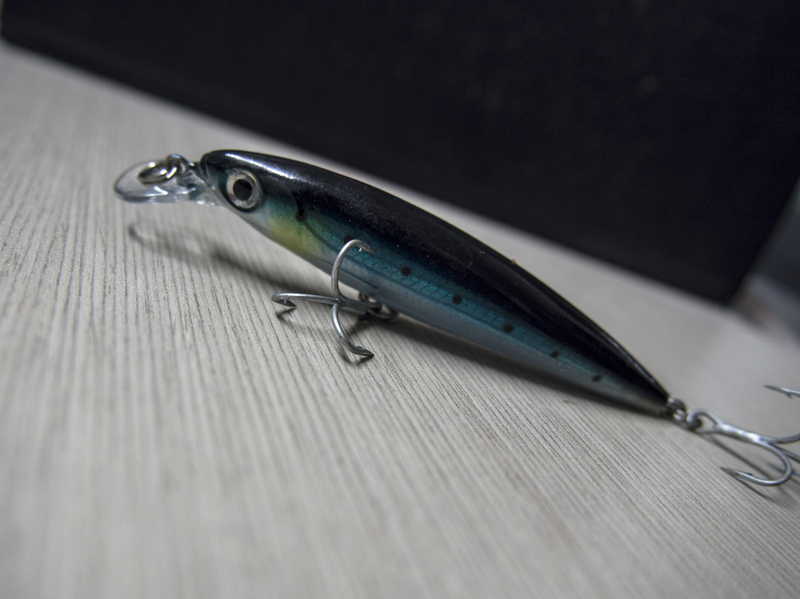 “Bibbed minnows have a tapered, streamlined shape reminiscent of a bait fish and a projecting lip (or bib as it is more commonly known) which provides the swimming action and controls the depth to which the lure will dive when retrieved. In the photograph below, which shows the lures from a side view, the top lure with the bib close to the horizontal dives to 5.3 metres whereas the bottom lure with a bib at 45 degrees to the horizontal only dives to 1.8 metres. Note that the two bottom lures in this photograph are virtually identical. The difference in dive depth due to the bib angle is however around 1.5 metres with the middle lure diving deeper to 3.3 metres during the retrieve. Why is it important to know this? Well I once fished a favourite section of estuary with the shallow diver and caught nothing. However, I then switched to the deeper diving lure and re-fished the stretch. As soon as the lure started to nudge the bottom regularly the fish were all over it, hammering it aggressively. My standard rule of thumb now is to always go deep when prospecting as fish tend to generally hug the bottom. Increasing the size of a horizontally aligned bib on a hard bodied lure will increase the depth to which it will dive when retrieved. This can however alter the aerodynamics of the lure and lead to substantially reduced casting distances. 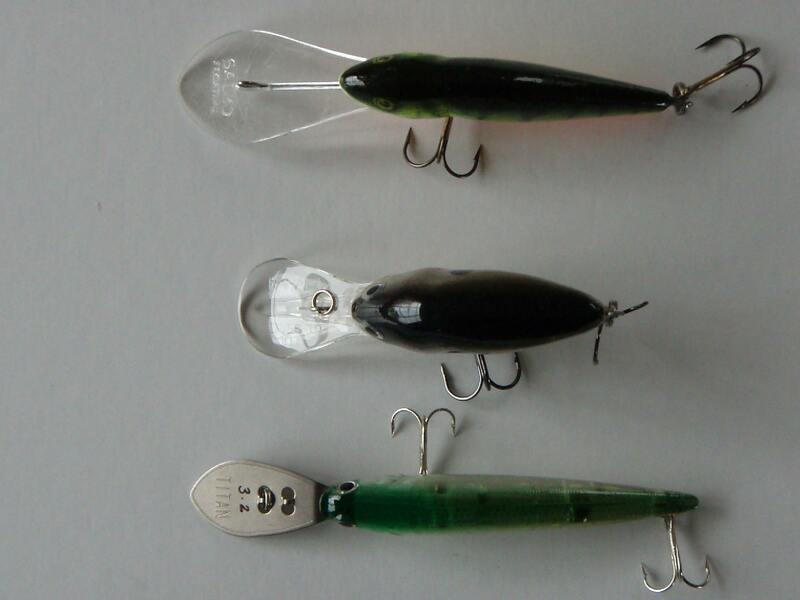 Deep diving lures with large bibs (as shown in the “birds eye” view below) perform best when trolled rather than cast. The size, shape and angle of the bib and the body shape of the lure also determines whether the bibbed minnow will have a tight fast shimmy action or a wide, slow wobbling action when it is retrieved through the water. Generally a narrow bib gives a tight action and a broad bib a wide action. A narrow bib with a pointed tip is designed to be retrieved at a faster speed. Most bibbed minnows designed for casting should be retrieved at a steady slow to medium speed to maximize their action. It pays to introduce an occasional stop / start or acceleration to entice any following fish to strike. The best way to determine whether a bibbed minnow is being retrieved at its optimum speed is to look at the rod tip. If the rod tip is nodding vigorously then the lure action is optimised. If the lure is being retrieved too slowly then there is very little tip movement. If it is being retrieved too fast then the same applies as the lure is being dragged through the water too quickly and this dampens the action. The rod tip should be held close to the water and parallel to the shoreline during the retrieve so that when a fish strikes the lure it will meet with immediate resistance from the rod and this sets the hook. Short flicks of the rod tip, coupled with bursts of winding on the reel, will ensure that the bibbed minnow moves through the water in an erratic and enticing manner. It is important when using deep diving lures to drag the lure through the surface film as soon as it lands and retrieve several metres of line rapidly so as to get the lure down to its maximum dive depth. Once there, a steady retrieve will keep the lure tracking at a constant depth. It is also possible to purchase bibbed minnows that are articulated (have a jointed body). 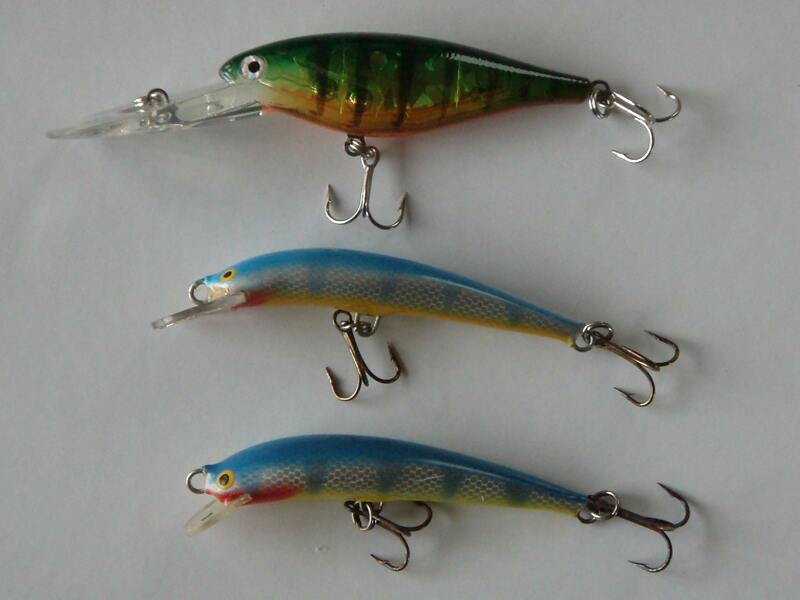 Articulated lures have a completely different action to lures with a similarly shaped one piece body. The action tends to be more sinuous (“snake like”) as the tail section follows the swimming front section in a smooth arc. These lures can be deadly on their day, especially the Rapala J series lures.